Uganda today is one of Africa’s best-kept secrets. Here, in a country roughly the size of Great Britain, one finds a rich tapestry of traditions and cultures encompassing 45-plus languages, and topography ranging from semi-arid savannah, to lush rainforest, to the largest glaciated area on the African continent, which, it so happens, sits astride the equator! 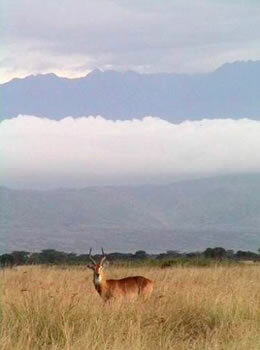 In terms of wildlife, Uganda has species found elsewhere in Africa, like impala and plains zebra, along with those found nowhere else, like the Ugandan kob, an antelope. But it is Uganda’s wealth of birdlife (nearly 600 different species have been recorded in the country) and abundance of primates (12 different species) which provides unique appeal. In fact, Uganda offers visitors the rare privilege of viewing in the wild both chimpanzees, fast becoming endangered, and the already highly endangered mountain gorilla. Still, this country, dubbed by Winston Churchill “The Pearl of Africa,” remains largely under-discovered as a Safari destination. The following itinerary is meant to help your safari planning. 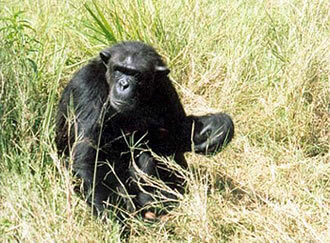 Since 1974, we at Cowabunga Safaris have done many, many kinds and variations of safaris to Uganda. Do you want something more upscale? Do you want something more rustic and participatory? If you have a different safari in mind, wish to stay longer, or want to travel to other parts of the continent, tell us. We can make it happen.